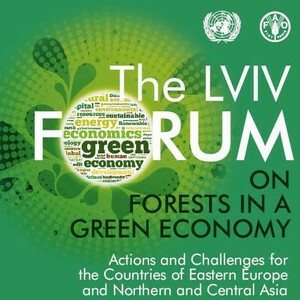 The Lviv Forum on Forests in a Green Economy for countries in Eastern Europe, Northern and Central Asia will bring together different stakeholders, policy makers and international experts to share experiences and explore opportunities for implementing the concepts and requirements of the Green Economy in the forest sector. The overall aim is to make the concept meaningful, operational and beneficial for forest management and forest communities in the countries of Eastern Europe, Northern and Central Asia. Registration and information for delegates are available here.